I love smoothies! I’m sure that is obvious since this blog is primarily focused on blender recipes. That being said, I’ve been pretty stingy with the smoothie recipes. It’s not that I’m hoarding them. It’s just that I rarely follow a recipe when it comes to smoothies. I just toss whatever sounds good in to Ye Olde Vitamix and cross my fingers. That is not always the best system. Sometimes you get a blender full of sadness. I was inspired to come up with this smoothie recipe when I read a comment in a Facebook group dedicated to low carb. The comment was lamenting the fact that so many smoothie recipes include bananas. There is a simple explanation for this. Bananas make your smoothies smooth. They have a magical thickening power! Q: How do I make a thick smoothie without bananas? A: You add avocado instead! 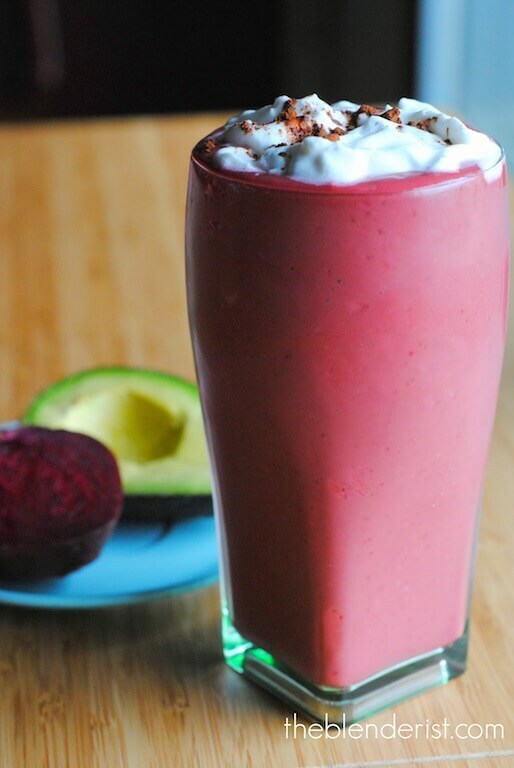 This Red Velvet Smoothie is very simple to make, it doesn’t require heaps of produce. It has enough healthy fats to keep you satisfied, but it is low in carbohydrates (6 net carbs per serving). It gets it’s red colour from beets. Don’t worry, you will barely taste them and the provide a wealth of nutrients including vitamins A and C, iron and calcium. When it comes to sweetening this smoothie, you have options. If you want to keep it low carb you can use Swerve or liquid stevia. If you can spare some extra carbs you can use coconut sugar or maple syrup, or plain old sugar if you are in to that sort of thing. 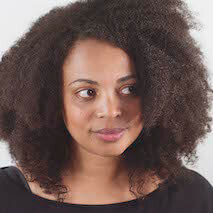 Also, I used coconut products to make this vegan but it will work just fine with dairy products. Put all the ingredients in a blender and mix until completely smooth. *If you have a weak blender, boil your beets first. This looks fantastic! I never even thought about some of these ingredients in a smoothie but it seems to work, Thanks! It’s definitely an unexpected mix, but it works! what is on top of the smoothie? It is whipped coconut cream. There is no recipe on my blog for that but you can find one on this site. I think this just may be the best smoothie I’ve ever had! Thanks Tara! That is really nice to hear. This smoothie is really good!! I even used more beets than it calls for, and used chocolate soy milk. Great recipe! Awesome, thank you Shawna! I love hearing this! Hi Anita, sorry I don’t have that information. I just made this. I’m sorry, but it was terrible. It tasted like beet avocado smoothie whose flavors were trying to be masked by all the cocoa powder and fake sweetener. I would suggest others to save time by not making this one. Also- a note for the author- you should give a more accurate quantity of beets. How many grams or oz do you want. Beets can vary in size a lot, so something more accurate is necessary. Sorry I didn’t enjoy your recipe. Thanks for the reply. This recipe is really old and I’ve had a couple of positive reviews on it, so I’m not going to change it. However, I am approving your comment so others can see it and make their own choices. 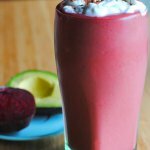 I love your blog post, Red Velvet Smoothie, and we would love to feature it on our website, GreenThickies.com. Would it be OK for me to use one of your photos within my post? I will of course link back to your post. This was pretty tasty and very filling. I think it would be good with some berries! I agree! Some berries would be really good. If you have a high powered blender like a Vitamix or Blendtec, you do not need to boil them. If your blender is not strong, then it is a good idea to boil them a bit. Whoops dont worry. I googled it thanks. I thought it was beetroot at first but then just had to double check. Help If I’m on a low carb diet so bananna is out and I’m allergic to avocado any suggestions for a good substitute in smoothies? I really want the micro nutrients that are in the smoothies.